I don't bake that often, but when I do I like to experiment. 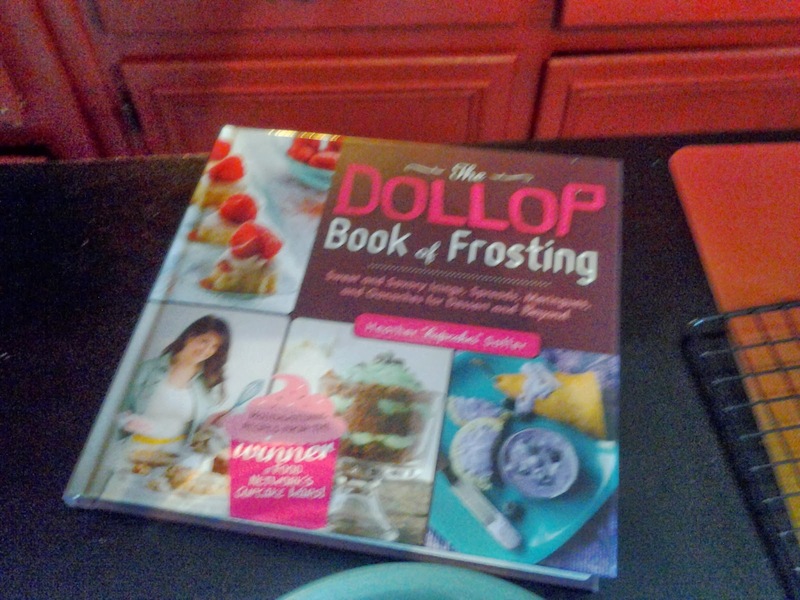 When I poured all the frosting recipes in Heather Saffer's new cookbook, The Dollop Book of Frosting, it has inspired me to mix and match her creative frostings with classic cupcake flavors. 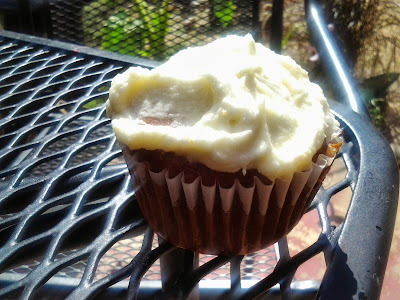 I got some cardamom a few weeks ago from the farmer's market and decided to make the orange cardamom frosting from her cookbook to go with carrot cake cupcakes. Yes, I used a mix. 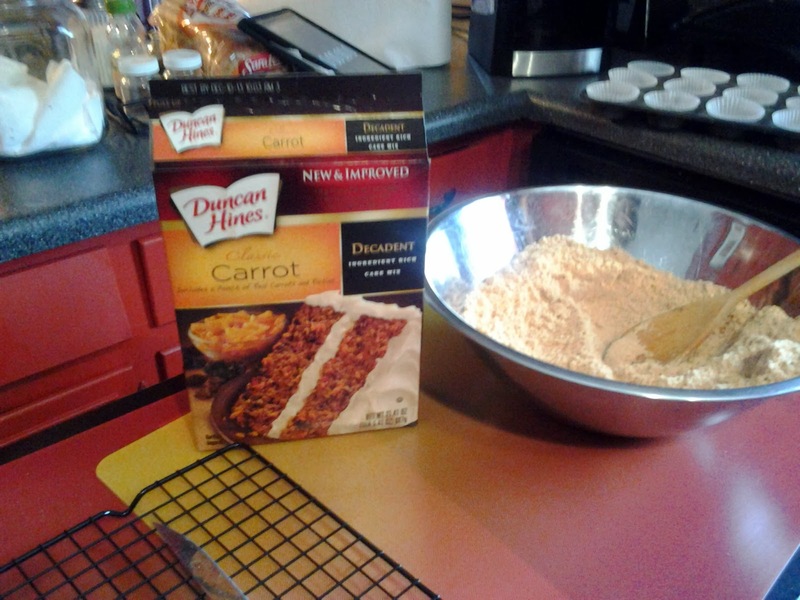 Duncan Hines carrot cake is good cake mix with carrots and raisins in a packet. I added some Craisins, too for extra flavor. 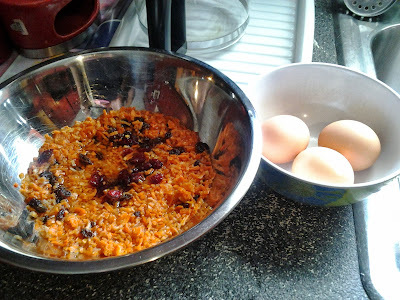 (When the holidays come around, this would be a good base for fruit cake. Cupcakes chilling on the cooling rack. 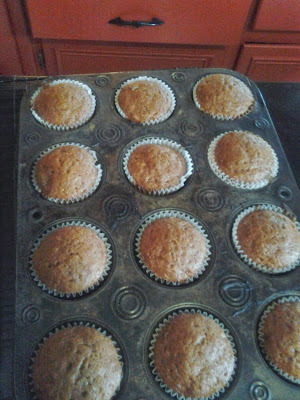 My Dad asked that I didn't frost all of them since he wants to eat with morning coffee. Here's a photo of the one I frosted and ate immediately.